Did you know that more than 60 percent of ingredients in shampoos get absorbed into your skin? It’s true, and the interaction of these chemicals with your body can cause increased health risks. 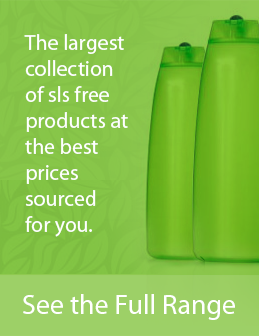 Throughout our site we’ve discussed primarily Sodium Lauryl Sulfate and Sodium Laureth Sulfate, but some people prefer to go even further and use a completely chemical free shampoo, which is the safest option. If you’re wondering what the chemical-free movement is about, then you will find all you need to know in this article. Note: When we say ‘chemical free’ we really mean ‘free of bad chemicals‘. What’s The Difference Between Chemical Free Shampoo and All Natural? You can add to this list perfumes and fragrances, which can also irritate your scalp and do nothing for the health of your hair. Much of this has to do with marketing and getting consumers to buy one product over the other. There’s basically no difference between natural and chemical-free shampoos, the difference is whether the consumer is concerned if the natural ingredients are organic or not. At this point it’s really up to the consumer to decide how eco-friendly they want to be and the price they are willing to pay. To get a better idea let’s look at 4 popular chemical free shampoos below. Christina Moss Naturals Shampoo the top brand on our list and it doesn’t a great job of making your hair clean and healthy-looking. It’s more expensive than some of the other brands on our list, but you get what you pay for. The unique formula has various essential oils, and plant extracts which include: coconut oil, aloe vera, and shea butter. This product is proudly made in the USA. ArtNaturals Argan Oil Shampoo is perfect for all hair types. The product is enriched with a unique blend of essential oils and vitamins. The main ingredient is Argan Oil, a rare oil that will give your hair a healthy look and make it shine. This product is made without harsh chemicals, so you can use it on a daily basis. There is also a 100% money back guarantee so you have absolutely nothing to lose by trying out this product. If you are looking for a chemical-free, organic, all around shampoo, which works well on all hair types, then you must take a look at NaturOil Soap Nut Shampoo. It scores 4.3 stars out of 5, has reviews by more then 93 customers and scores a 1 (low toxicity) on the Environmental Group’s cosmetic safety rating. This shampoo also made the list for “2013 Skin Care Guides best natural/organic brands.” Formulas are manufactured and shipped in the USA. Ginesis Shampoo is a non-toxic, environmentally safe product that helps correct dry, flaking, discolored hair due to chemical damage and/or damage due to medical treatments like chemotherapy. The formula is safe for use by children and can be used daily for routine applications. The pump bottle makes it convenient to refill if you purchase the 1 gallon economical size. Lastly we have a chemical free shampoo that you can actually make yourself! If you’re looking for a simple, chemical-free shampoo/conditioner combo, then we have just the recipe for you. The shampoo is actually made with baking soda and the conditioner is made with Bragg’s apple cider vinegar. Most people like to use a spray bottle for convenience sake, so all you need to do is add one tablespoon of baking soda to one cup of filtered water. Shake it up in the spray bottle and you’re essentially good to go. For thick or oily hair you can add a little extra baking soda to the water. You should also mix the baking soda with warm or hot water; this will help it dissolve faster. The same proportions apply to mixing apple cider vinegar to filtered water. 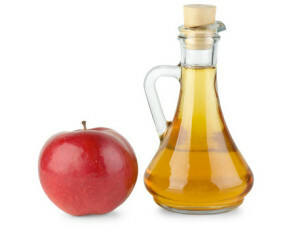 Again, you can add extra apple cider vinegar for thick, long hair. But just remember, you can’t really make too many mistakes with the ratios when using these natural ingredients. 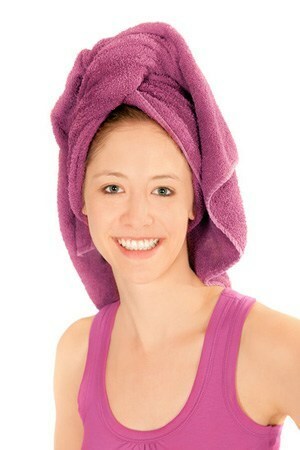 Spray the shampoo mixture on your hair, rub it through your hair, let sit for a minute, and then rinse. The same procedure can be done using the conditioner. The entire process is both enjoyable and rewarding. And who knows, maybe this mixture could become one of your favorite hair products. Try a chemical free shampoo today and feel the difference— you have nothing to lose and everything to gain.